Every game have its own rules. These rules are established to make the game fair and balanced for both the sides. It makes the game more interesting for the audience also. Football has got its own rules like players getting yellow or red card on misbehaviour, Penalty kick given to the team under special circumstances, Penalty shootout at the end of the game which becomes the decider etc. Cricket also has special rules which are set by the ICC (International Cricket Council). The size of the bat is now well defined. The thickness of the edges of the bat is 40 mm and the overall depth is 67 mm. The width and length of the bat remains unchanged. The size of the bat has remain unchanged since a long time. Umpires will be provided with an instrument i.e. bat gauge to check the legality of the bat. Similar to football, players can now be sent off the field for any misconduct. Cricket though is a gentleman’s game has witnessed some ugly incidents like the monkey gate saga or the underarm bowling incident. Players sometime go over the board by sledging the opposition team players. They sometimes even get violent and attack the players in the opposition team. In a welcome move, ICC has decided to get away with all this drama played by the players. So the player can now be sent off the match and this will apply to be level 4 offence. The level 4 offence constitutes assaulting players or umpires or also threatening to assault them, deliberately making physical contact with the umpires or players and getting involved in any other violet methods. The batsman can now be given out if the ball bounces of the helmet which is worn by the fielder/wicket keeper and then the catch is taken. In case of run outs, if the batsman has grounded his bat inside the crease but subsequently has lost contact when the wickets are being put down by the fielder or the wicket keeper then in that case the batsman will be declared not out. This will be applicable in case of stumping’s also. It will be a ‘No ball’ if the ball bounces more than once before it reaches the popping crease. Also, if the ball does not land on the pitch then the umpire can immediately signal it as a No ball. In another instance, if the fielder intercepts a delivery before reaching the batsman then also it can be declared as No-ball. Byes and Leg-byes scored of a no-ball will be counted separately. Earlier they were counted as No-ball. 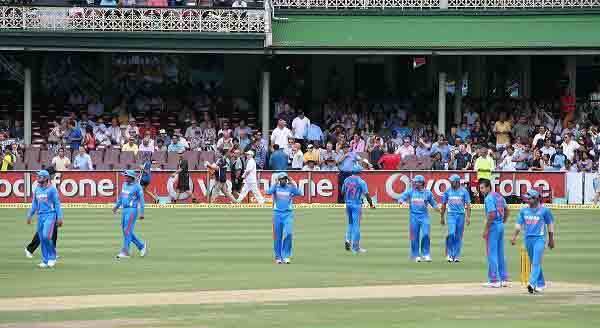 An appeal can now be withdrawn if the batsman has not left the field after declaring out. It should be before the next ball is bowled. Hopefully, this will make the game more interesting.